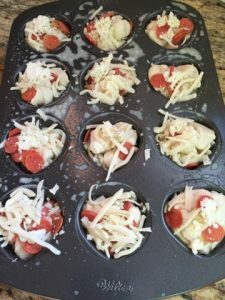 These cute lil PIZZA muffin is so good and yummy….your kids are gonna eat it up. These will take you less than 10 minutes to assemble and just stick in the oven. 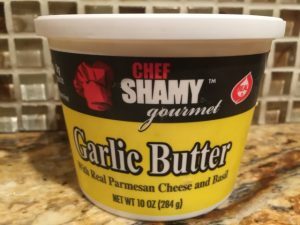 ***you can substitute with 1 Tablespoon of BUTTER then add in 1/2 teaspoon garlic powder. Spray the muffin pan with some cooking spray (I used PAM). 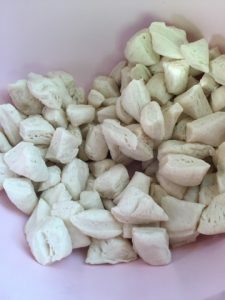 In a medium size bowl…cut the biscuit into little pieces (I cut about 12 little pieces per biscuit). 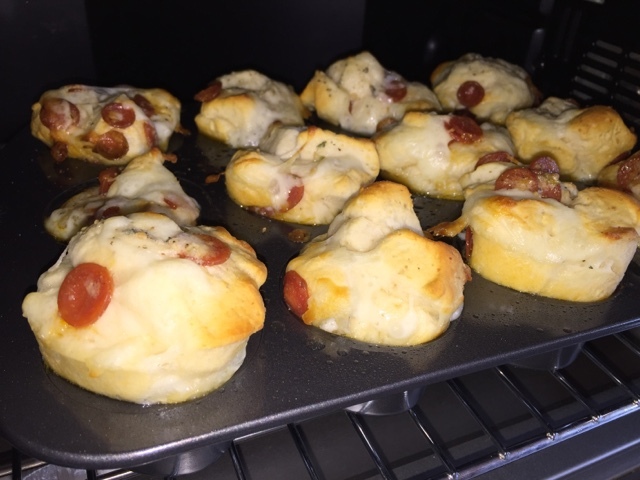 Next, pour in the 1/4 cup mozzarella cheese and 1/4 cup mini pepperoni. If you are using the Italian seasoning ….add the seasoning in at this time. I used the garlic butter so I didn’t add any Italian seasoning. 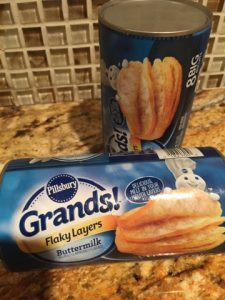 Mix all the ingredients together…once everything is incorporated…fill each muffin cup to the top…I put a pat of garlic butter on top of each muffin so the top can get a nice golden brown color. Bake at 350 for 20-25 minutes…or until the top is a nice golden brown color. I’m so excited that you’re sharing some of your easy yummy recipes! 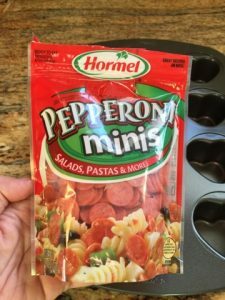 Can’t wait to try the pizza muffins.